Providers in artificial putting greens fro Homes, Businesses and Golf Academies. Our client list includes everyone from European Tour Winners to the average golfer looking for a fun putting green in their back garden. Blackstem Plants grow a range of interesting and unusual perennials and grasses for gardeners who want something a bit different. An Award winning collection of Zinc Planters, Water Features, Lighting, Fire Pits and Garden Objet d’art, handmade in Europe. 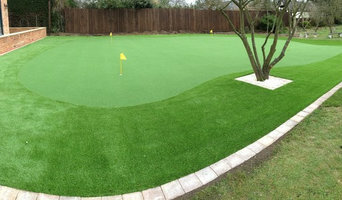 Leading county supplier and installer of award winning artificial grass. Includes shock pad under layer as standard, for cushioning of the final surface. 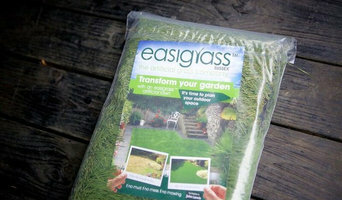 Range of artificial grass available for different uses, from domestic gardens to community spaces and sports fields. It even works on hard surfaces and indoors! I design and make unusual copper fountains. These are mainly inspired by plant and tree shapes and the water flow is carefully controlled to provide pleasing sounds. Each fountain is an individual commission for the client and no two are the same. I make the fountains by hand beating the individual parts to shape and brazing together with a silver/copper braze. All parts are resistant to the elements and the whole sculpture weathers to take on an attractive greeny patina. 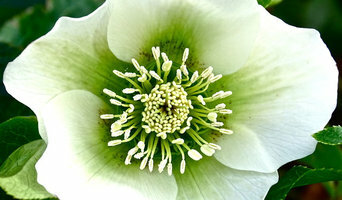 10 years experience working in gardens across Sussex and South-East. 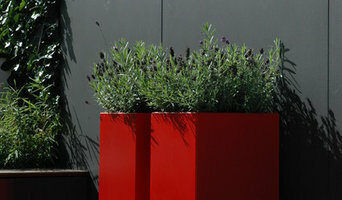 Designing and nurturing beautiful gardens to meet clients individual needs. With more than a decade of experience Blades provides a professional artificial grass installation service for domestic, school and commercial clients across London, Brighton, and the South East. Bamboo suppliers for interior and garden design. UK Bamboo Supplies Limited is the largest specialist supplier of bamboo and bamboo products in the UK and Europe. Just like wood, not all bamboos are alike. We have access to commercially farmed bamboo from China, Vietnam and Indonesia. The conditions which the bamboo is grown results in its strong, durable properties. We specialise in bamboo poles, bespoke fences and screens. We both distribute bamboo poles and have the experienced and skilled staff to manufacture bespoke fences and screens. We welcome any ideas which we are happy to discuss and meet with your requirements. No project is too big or too small. We have a track record supplying to the television and film industry, production companies, theme parks, zoos, architects, interior and landscape designers, religious festivals, shop fitting, Japanese garden projects, schools and nurseries and the general public at large. In order to achieve the best possible service our experienced team are on hand to work with you, providing expert advice on what can be achieved. Most orders are available for next day delivery. If you have a specific project you would like to discuss or just a general query about bamboo or our products please contact us directly. Highly experienced and fully qualified with over 60 years of gardening experience, we have a strong passion for what we do. We offer a 100% Garden Package. We can supply all materials and tools for the job whether its a large commercial plot or a small front garden, we treat each assignment with complete dedication as well as recycling 100% of the waste. Our team work to the highest standards of safety, complying with all relevant health and safety regulations. We are also committed to upholding our environmental policy, ensuring that all environmental aspects of our work are managed professionally. We design and build slug and snail-proof raised beds or supply instructions on how to do it yourself. I began my career as an apprentice in a small local nursery. From production horticulture in the nursery to design and build works in the city, lifting yew trees in Holland to quite literally bumping into Alan Titchmarsh at the Chelsea Flower Show, my horticultural training was extensive and unconventional. Then in 2012 I decided to go it alone. Mud, Sweat and Shears was born of a desire to use interesting plants to create and maintain beautiful gardens, spaces that please the eye and tickle the soul. Science has proven many times that plants and the outdoors are good for us and make us happy. I agree, and I relish creating the space for people to find this happiness. I do not believe a beautiful garden needs to be hard work to maintain, or that a space is too small to be pretty, but I do believe that a garden should not just be a view from a window, but the best room in the house. What garden supplies can I get from Brighton, East Sussex garden centres and landscaping retailers? If you’re going for a complete overhaul of your garden, then you’ll probably need soil, turf, large plants, trees, decking or patio materials to make a start. Wholesale garden suppliers in Brighton, East Sussex will be your best option for all the basic garden supplies, so get in touch with them to discuss your needs. Once you have the foundations of your garden sorted, then the adorning and decorating can start, which is where Brighton, East Sussex garden centres will become your new favourite haunt. From seeds, small plants, garden ornaments and plant pots to the bigger structures such as pergolas, greenhouses, garden furniture, water features and planters, garden centres will offer a wonderful range of garden supplies and accessories to help you lade your garden with lovelies. Find specialistBrighton, East Sussex garden suppliers if you’d like more uncommon garden features, like fire pits, garden sculptures, raised flower beds or special garden lighting. 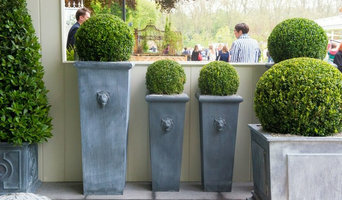 You can even find vintage garden accessories from some retailers if you want the shabby chic, eclectic garden look. Garden suppliers and landscape supply professionals in Brighton, East Sussex will be able to offer advice on the suitability of certain products for your garden design and possibly assist with the installation and maintenance of your garden supplies and features. You may wish to involve a garden contractor or landscaper in your garden supply choices, as they will also have a clear idea of what materials and items are best. They may also be able to recommend Brighton, East Sussex garden centres in your area that they have worked with before. Here are some related professionals and vendors to complement the work of garden & landscape supplies: Landscape Contractors, Main Contractors, Landscape Architects & Garden Designers. Find landscape and garden supplies on Houzz. Search the Houzz Professionals section for Brighton, East Sussex garden centres and garden suppliers. Browse photos and read reviews. You can also explore full-service Brighton, East Sussex landscape architects and garden contractors.